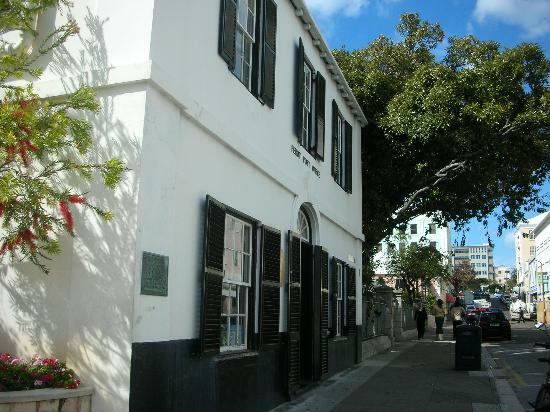 Bermuda’s Post Office will be celebrating its 200th anniversary next month with an exhibition that will include eight of the 11 known Perot stamps. Three of the rare stamps which will be displayed at the Masterworks Museum of Bermuda Art from April 19 through 28 are from the Queen’s own collection while two are owned by former Bermuda Premier Dr. David Saul. 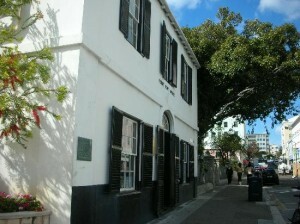 Bermuda’s first postage stamps were produced locally in 1848 by Hamilton postmaster William B. Perot at his Queen Street post office [pictured], consisting of the words “HAMILTON BERMUDA” in a circle, with the year and Perot’s signature in the middle. Known as the Perot provisionals, they are among the greatest rarities of global philately. Only 11 examples of the stamps — issued until 1861 — are known to still exist. Masterworks will be hosting a philatelic dinner on April 23, which will include talks from Chris Harman, a Fellow of London’s Royal Philatelic Society, London, and Michael Sefi, Keeper of the Queen’s private stamp collection. Can some one post the history of these stamps – my memory is failing, but there is a story Bermuda can be proud of.